When the Editor-in-Chief of one of the leading interior design magazines takes the time to tweet a photo to you, it would be churlish not to take note! Michelle Ogundehin, the Editor-in-Chief of Elle Decoration UK, shared an image from the March 2015 issue earlier this month of a wonderful plywood kitchen. 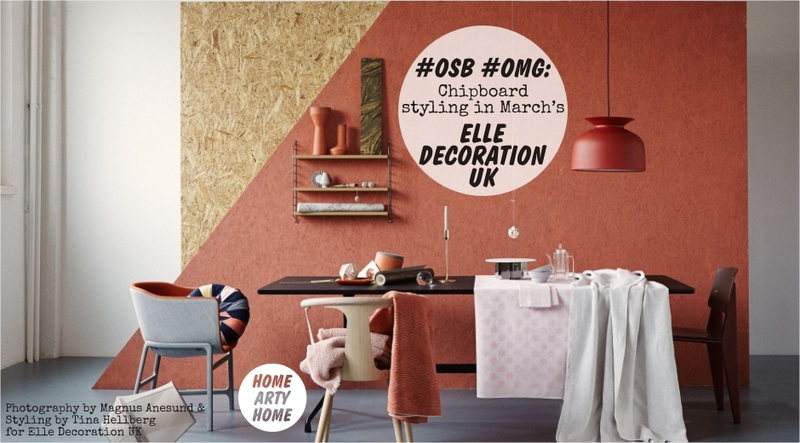 As regular readers will know, Home Arty Home LOVES all things chipboard and commented as much to which Michelle replied with an image of the room-set above featuring the chipboard wall. Imagine Anna Wintour tweeting a reader with an image of a double-page spread and it goes some way to explaining the pleasant surprise of receiving the image! It’s great to see an Editor engaging with readers on social media and you can follow both Elle Decoration and Michelle Ogundehin on Twitter for inspirational quotes, stylish images of products and interiors, plus the occasional adorable pic of her Basset Hounds. (Side-note: I know there’ll be some readers who hate that “news” comes from Twitter, I personally do not like the recent trend of newscasters reading out tweets as opinions, or newspaper journalists quoting random and anonymous tweets as sources, but I love the use of chipboard in this month’s edition of Elle Decoration so had to share). 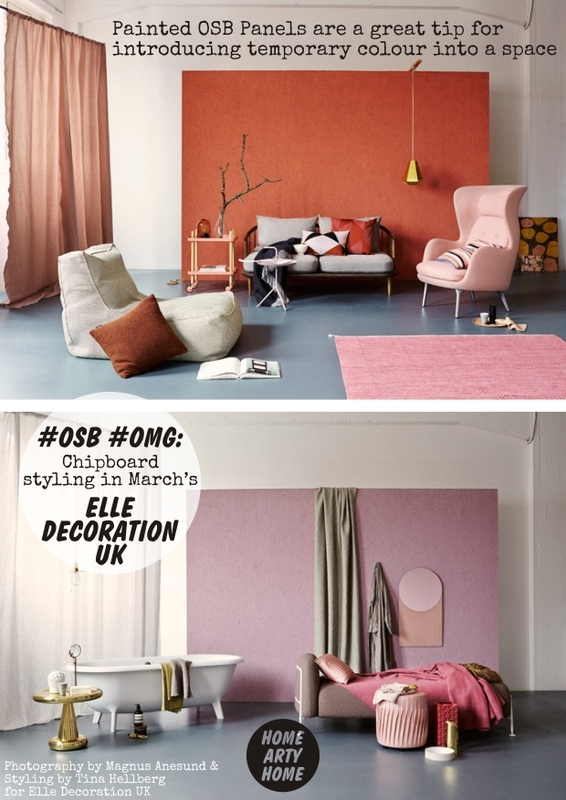 Whether you’re renting with restrictions on decorating, or just like the idea of changing your interior regularly to suit your mood, we can all take a tip from the styling of the rooms in the pictures photographed by Magnus Anesund for Elle Decoration. 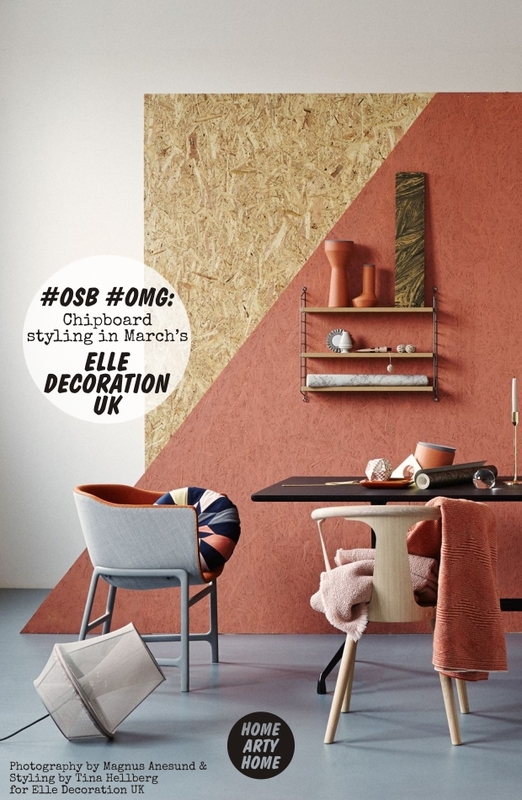 The large painted panels of OSB/chipboard in the March issue of Elle Decoration are a great way to introduce bold colour without committing the paint to actual walls. 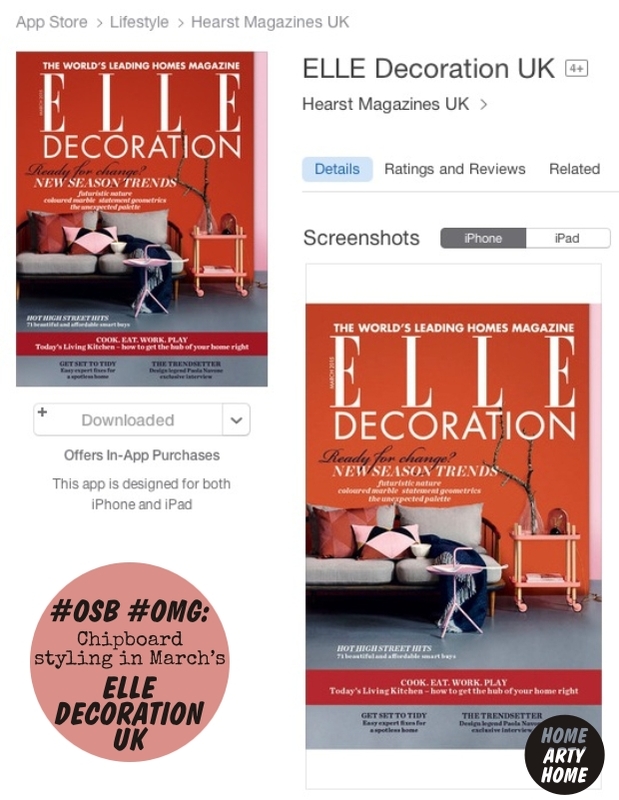 You can currently pick up a physical copy of the March 2015 issue from newsagents before the April edition is released or if you can’t wait to pop to the shop, you can download it to your iPhone or iPad like I did from here. 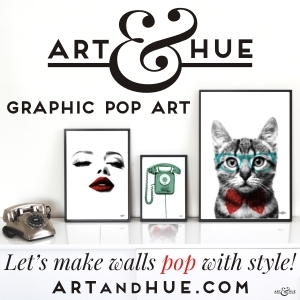 For more OSB inspiration, take a look at the Home Arty Home Pinterest (chip) Board.